Smart Shine restores the gloss and luster to your old and worn floors. - 1 Bottle (946 ml/32 oz) of Smart Shine Acrylic Urethane "Top Coat" - approx. 750 sq ft of coverage (Single Coat). 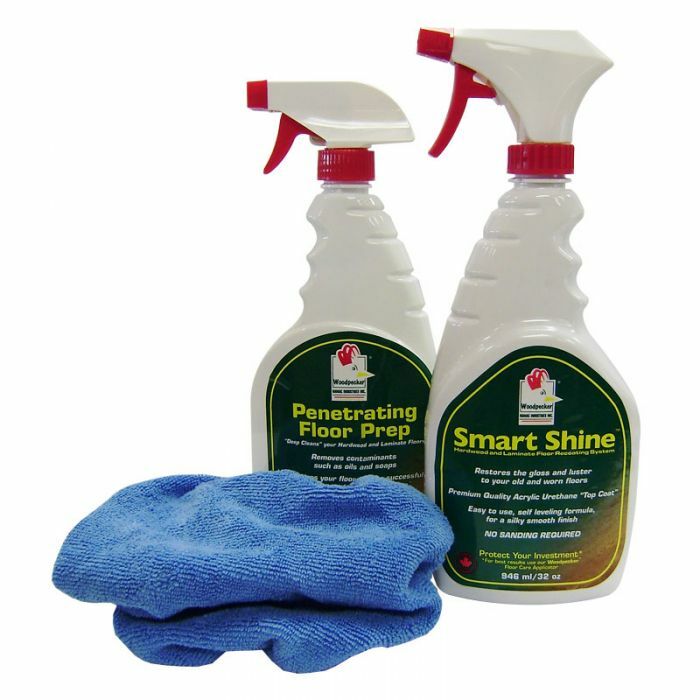 - 1 Bottle (650 ml/22 oz) of Penetrating Floor Prep - prepares your floor to receive Smart Shine "Top Coat". - 1 Microfiber Bonnet (Blue) - For applying Smart Shine Acrylic Urethane "Top Coat".